The Paul Harris Fellow Recognition was created in 1957 as an award for exemplary work in the community and encourage substantial contributions to the Rotary Foundation. Individuals who have contributed more than US$1000 to the Annual Program Fund, the Polio Plus Fund or the Humanitarian Grants Program of the Rotary Foundation are recognized as Paul Harris Fellows. 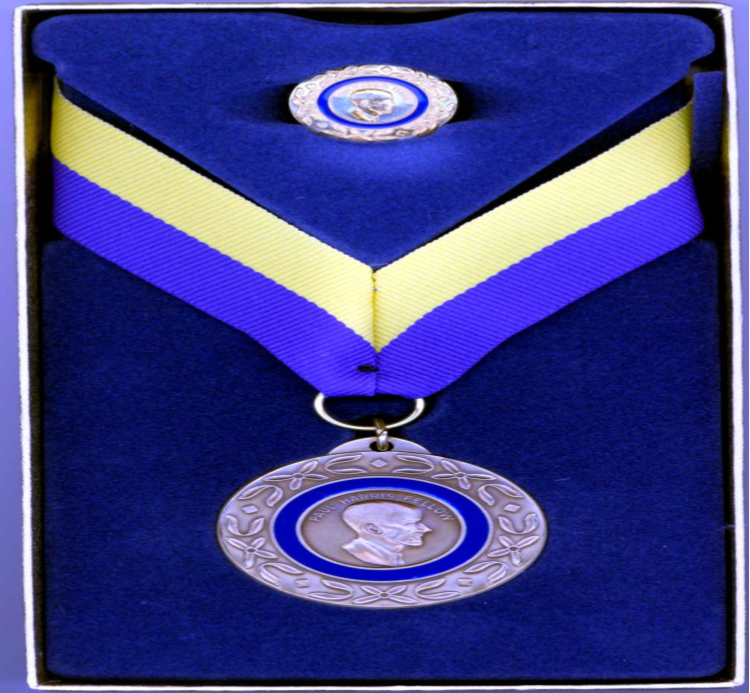 Additionally, individual Rotary Clubs may from time to time honor individuals who meet high professional and personal standards set forth by Paul Harris. The Rotary Club of Antigua takes pride in its contribution to the Rotary Foundation and congratulates the persons whose names appear as having lived by the principle of ‘Service Above Self’. Today, each new Paul Harris Fellows receive a commemorative certificate and a lapel pin. The Certificate states that a person has been named a Paul Harris Fellow in appreciation and tangible and significant assistance given for the furtherance of better understanding and friendly relations among people of the world. Rotary Club of Antigua Congratulates and Recognizes its members and awardees on the attainment of Paul Harris Fellow.